“The opportunity to donate blood is a privilege” thus said Dr. N.R. Parasuraman, Director, SDMIMD, inaugurating the Blood Donation Camp 2017 on Monday, December 4, 2017. In his address said, he lauded the efforts of HDFC Bank as well as the students of SDMIMD for this noble initiative. 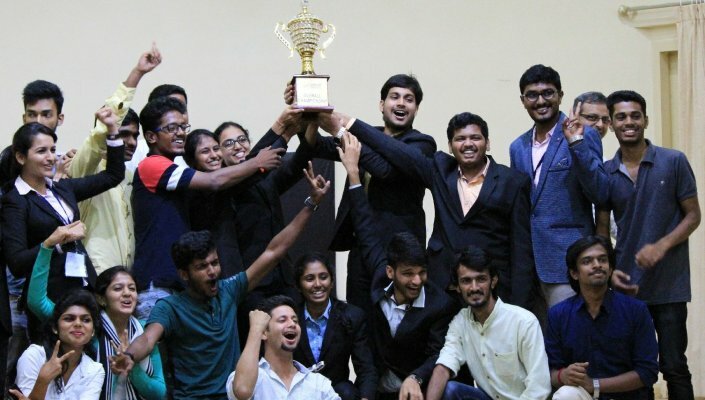 The event was a reinforcement of the principles for which SDMIMD stands and the social responsibility attitude demonstrated by the students. 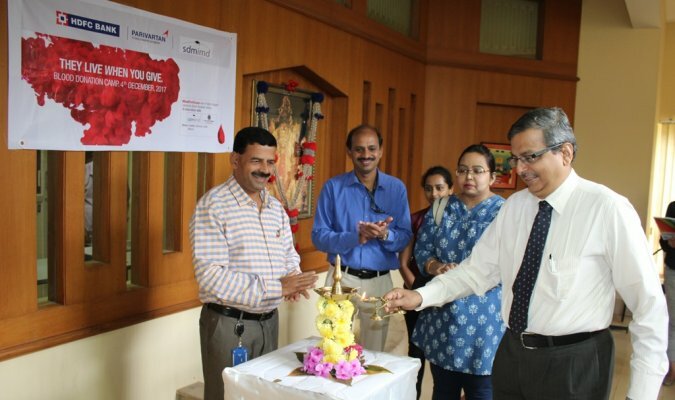 Under an event organized by HDFC Bank, SDMIMD hosted a blood donation camp at the Institute with the medical support from Jeevadhara Blood Bank, A unit of Cauvery Social Services Trust ®, Mysore. 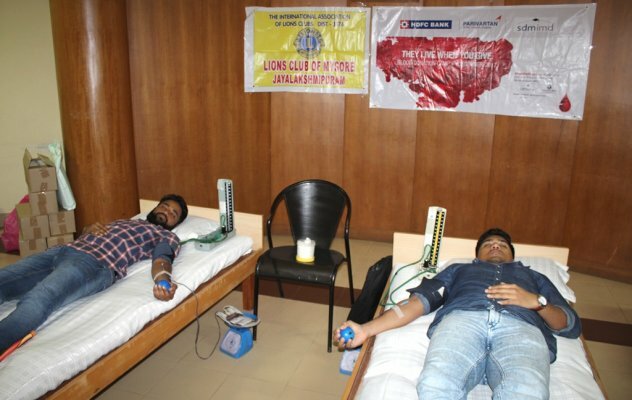 A large number of students donated blood on this occasion.